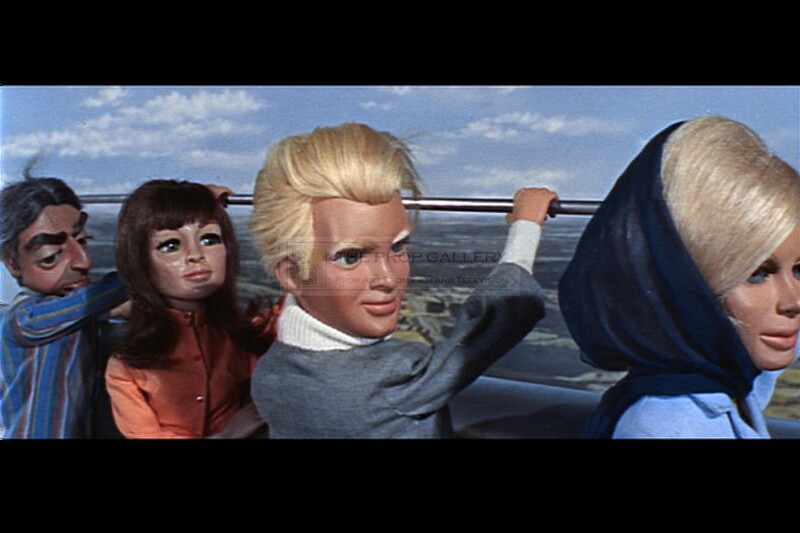 An original puppet head used in the production of Thunderbirds, the pioneering 1960s television series created by Gerry and Sylvia Anderson. 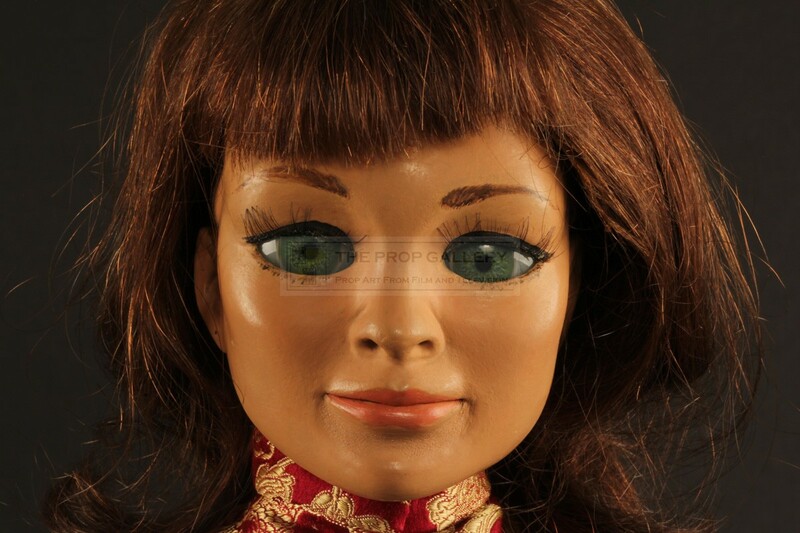 This is an original Supermarionation puppet head for the character of Tin-Tin Kyrano who appears in almost every episode of the series in addition to a supporting role in the 1966 feature film Thunderbirds Are Go and a lead role in the 1968 feature Thunderbird 6. The character was sculpted for the production by puppetry supervisor Christine Glanville and voiced by Christine Finn. 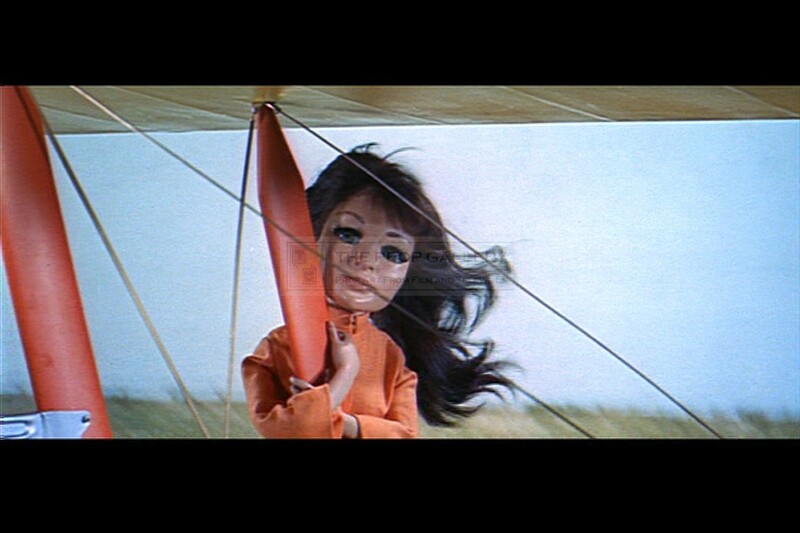 The puppet head is expertly constructed from fibreglass and features a solenoid to the interior which was a pioneering technique used to sync the lip movements of the puppet with prerecorded dialogue by way of channelling electrical impulses down wires. 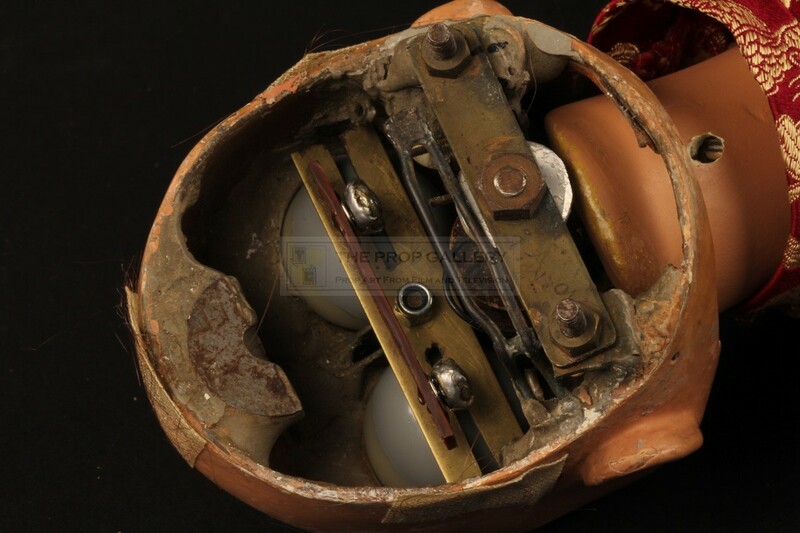 This is accessible by removing the rear of the head (replacement) with the join covered by puppets wig (original), also contained within the back of the head is a replacement eye mechanism which is expertly crafted from brass and features replacement eyes. 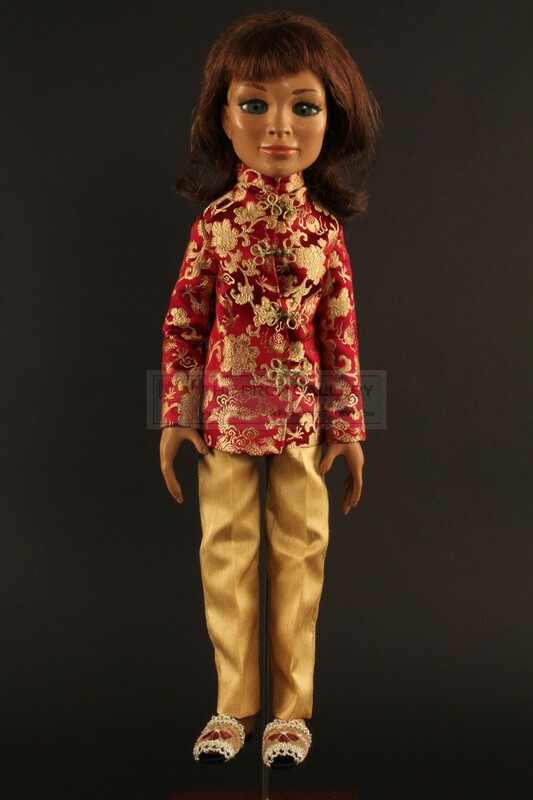 The head is presented on a replica body of resin dressed with oriental style clothing to form a complete puppet and a wonderful display spectacle. 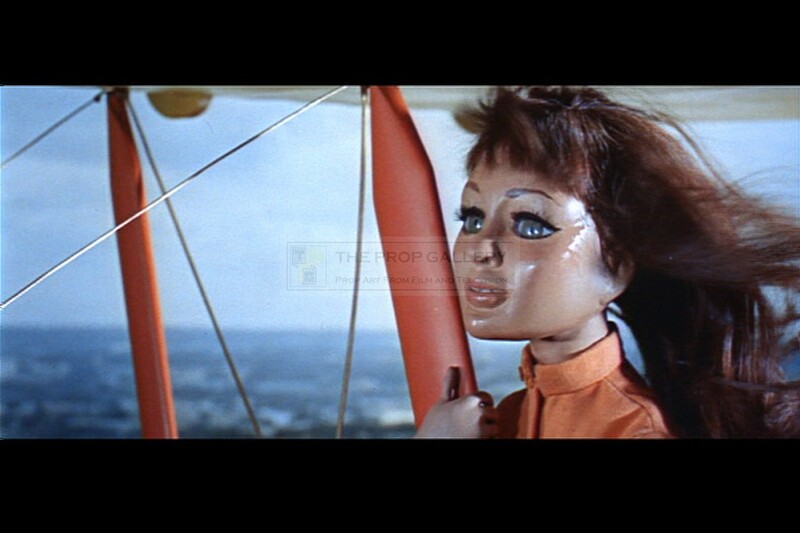 Following its use in the Thunderbirds television series the head was refurbished for later use in the feature films and it can be matched to the one used in Thunderbird 6, most notably as Tin-Tin clings to the biplane in the climactic scenes with the paint finish being original to this appearance. 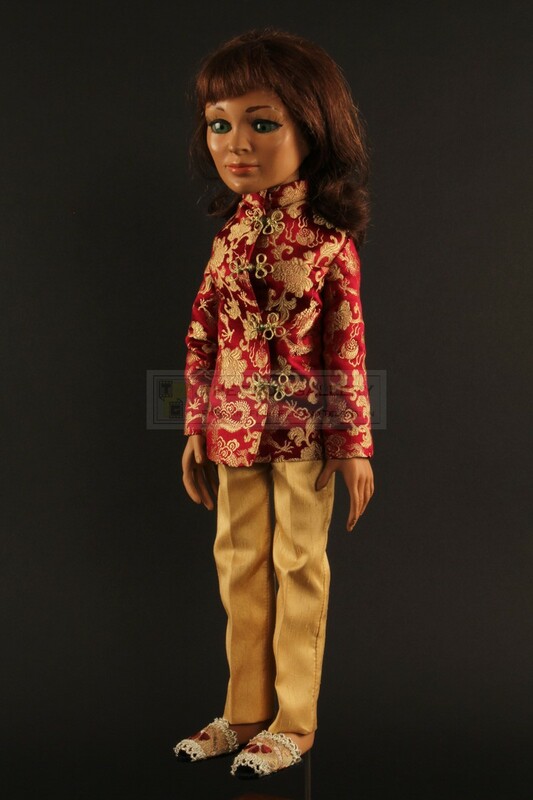 The head remains in excellent vintage condition with extremely minimal paint wear and sporting the genuine production used wig with the complete ensemble standing approximately 22" high. The head was originally sold as lot 83 at the noted Phillips auction in 1995 which featured puppets from the collection of Sylvia Anderson, Mary Turner and John Read and was one of only two Thunderbirds puppets in the entire auction. This represents an extraordinarily rare opportunity to acquire an original principal character puppet head from this legendary television series. Please note that this lot requires specialist shipping arrangements, we therefore recommend that any shipping queries, particularly those of an international nature, are discussed before purchasing.